You are here: Home / Tour Wife Tales with Kelsey Anderson: What Offseason? 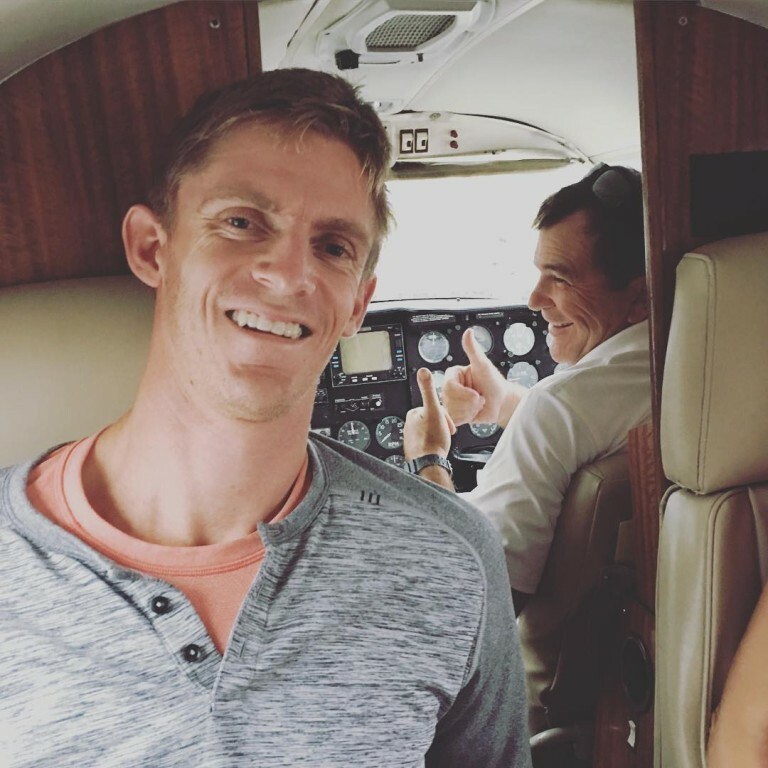 Tour Wife Tales with Kelsey Anderson: What Offseason? An often hotly-debated topic in tennis these days is the strenuous length of the tour calendar. Players trek across the globe week in and week out competing in tournaments, often very far from home. Last year, Kevin played 25 tournaments in 14 different countries; we were probably on the road about 30-35 weeks in total. As you can imagine, at the end of the “tennis season,” players and their support staff can be physically and mentally spent. The offseason is a practically sacred time where we can spend a meaningful period of time at home. The 2015 season was excellent for Team Anderson. Last year, Kevin won a tournament, made his first Grand Slam quarterfinal, broke into the top 10 for the first time, and finished at a career high year-end ranking. However, don’t be fooled by these achievements into thinking that Kevin sat on his laurels over the break. The offseason is actually the period of time where Kevin undertakes some of his most arduous and significant training. By late November, it was back to business — tennis business, that is. You can see now when asked about the tennis offseason, why I usually quip: “what offseason?”. The time we actually spent away from tennis amounted to just a few short weeks in November. Since the responses to my blogs have been incredibly positive about the fact that I have revealed a side of professional tennis that the outside world rarely sees, I imagine there is some interest in the off-court activities of players and their families. So what did we actually get up to in those few weeks when we were truly disconnected from tennis? One of the best things about the off season is being able to sleep in our own bed, get our things out of a suitcase, and enjoy spending time actually living at home. A huge part of this is also eating home-cooked meals. We eat at a lot of restaurants throughout the year, so some good home-cooking is a must. Unfortunately, we live in lively Delray Beach, so the temptation is strong to visit some of town’s most popular restaurants. Keep an eye on my blog next month, I plan to write a guide to Delray Beach with all our favorite spots. Traveling as much as we do makes it difficult to maintain and grow relationships, so the time we have at home is critical in this regard. In the offseason, both our families visited us at our home in Florida, which was really special. Luckily (or maybe unluckily), since we live in the tropics, we have no shortage of northern guests willing to visit during the winter time. It is always fun to host our families and friends this time of year. My best friend from the golf team at University of Illinois as well as one of Kevin’s teammates from U of I came in to visit. Naturally, we also enjoy visiting with our neighbors and friends who live in Florida, too. It was so nice to reconnect with everyone we feel so far from throughout the year. We made it up to Chicago to spend some time with my parents for just a few days during Christmas before departing for Abu Dhabi. Vegas, Baby! – We were invited by golf legend and Kevin’s fellow South African, Ernie Els, to participate in the Els for Autism Grand Finale Weekend in Las Vegas. Ernie, Lizel, Sam, and Ben were the most gracious hosts and treated us like family from the word go. It was such a fun weekend, and really special to learn about everything their organization has accomplished to help autistic children and their families. Autism affects our own family, so the organization and its mission is very close to our hearts. We were thrilled to be involved and look forward to further involvement with Els for Autism. The Force Was With Us – Like seemingly everybody else on the planet, we saw Star Wars: The Force Awakens on opening weekend. We went with a big group of Star Wars fans and newcomers alike; everyone loved it. I was not the least bit disappointed with Disney’s first production of the franchise, it is an instant classic. If you haven’t seen the movie yet, seriously, go. Fore! – Golf is one of those pastimes that I think I would participate in a lot more regularly if we didn’t travel so much. It is tough to travel with clubs, although we have on occasion, and I struggle to enjoy playing with a rental set. At home, our busy schedules usually lead Kevin and I to play just a quick 9 holes or to play at a par 3 course. Naturally, when my neighbor (also former collegiate golfer) invited me to her club’s invitational, I jumped at the offer. We had a fantastic day, topped off by becoming the eventual champions. I think tasting success reignited my passion a bit, and hopefully I will find myself on the links “competitively” again soon. Pirates of the Caribbean: Kevin and I returned to the prestigious Necker Cup this year on Sir Richard Branson’s very own private island in the Caribbean. The star-studded event is THE ultimate tennis pro-am of our time, and is spectacularly run and organized by our friends at Premier Tennis. Hosted by Richard Branson himself, the event raised money for the National Tennis Foundation. Outside of tennis, some of the fun activities Kevin and I participated in were zip-lining, feeding the protected lemurs, scuba diving, sailing, and hitting fish-food-filled golf balls into the ocean (I think the latter is Kevin’s newest life hobby). We were also treated to musical performances by Jewel and Sean Paul, which were both a highlight of the trip. One of the best things about the event is the chance to connect meaningfully with some of the other participants, pros and amateurs alike. Necker participants form a “family” in a way, and remain friends long after the party has ended. I can’t wait to see my Necker friends on tour this season. After a rocky and injury-riddled start to the 2016 season, I’m really looking forward to some tennis this week in Auckland. Kevin is set to play our friend for a long time, Robin Hasse in the second round. As usual, you’ll find me in the player’s box with my fingers crossed. Wish us luck! Great piece as always from Kelsey! It’s so nice to have her perspective on this site. Good luck to team Anderson at the Australian open! I always look forward to Kelsey’s pieces. They are interesting and well-written, giving us some insight into other aspects of the tennis tour. 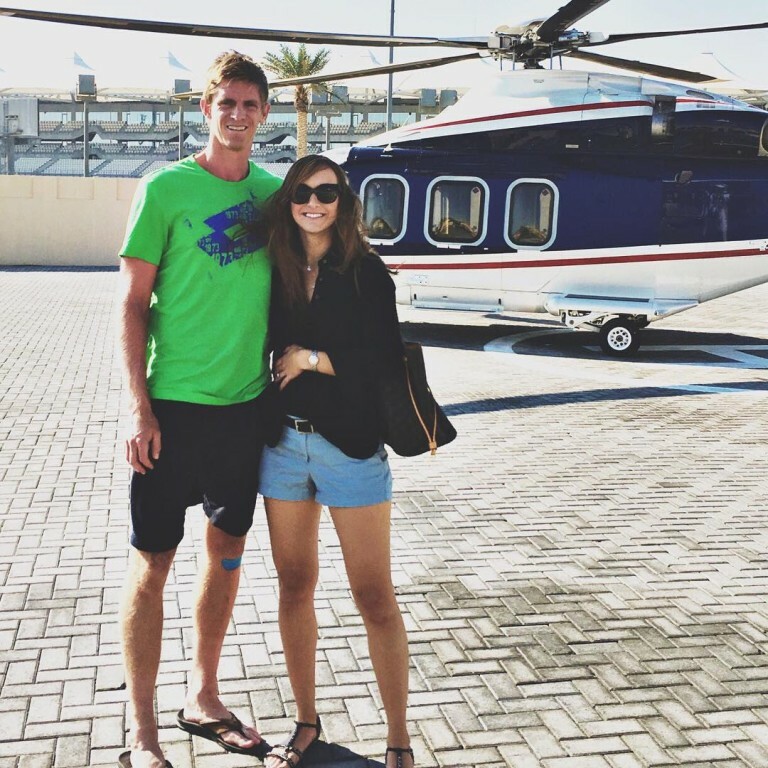 I always look forward for your blog Kelsey which showcases the struggles, effort, sacrifices which the tennis pros and their families put in every day which translates to what millions of fans see on court during the matches. Pl. continue. I wish team Anderson good luck for the entire calendar year 2016.